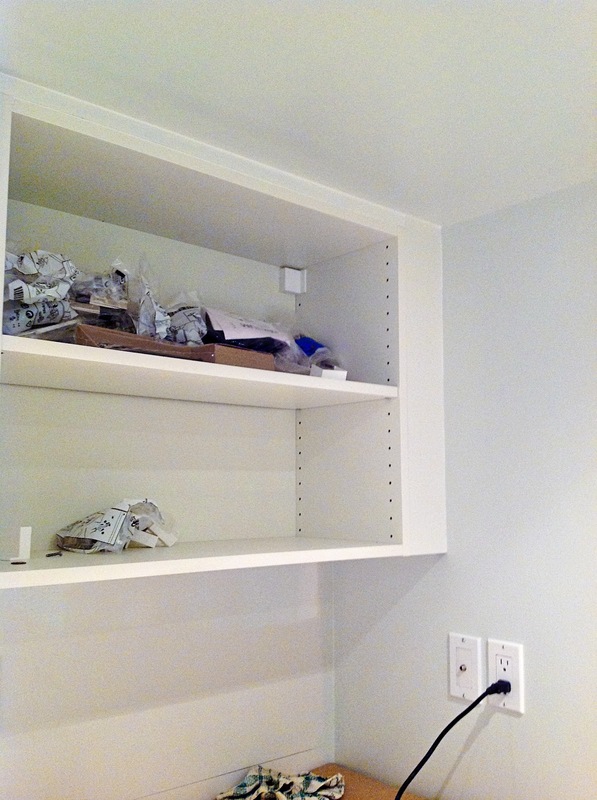 With HandyMan on vacation this week, much progress has been made on renovating the laundry room. 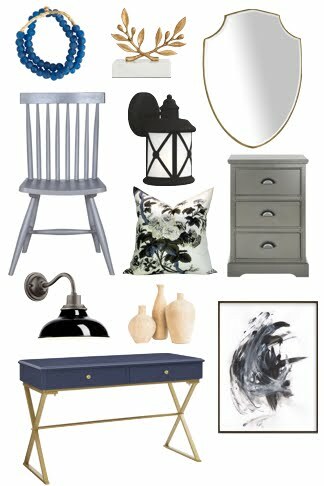 We're using Ikea for the cabinetry but, as with most of the Ikea we've used in our home, we like it to look more built-in rather than freestanding. How do you do that? 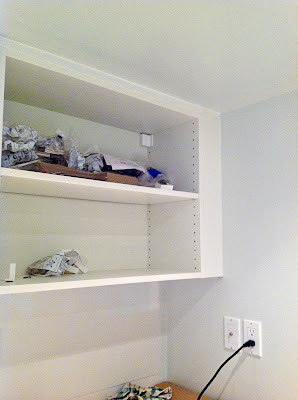 You make your own Ikea PAX or Ikea Akurum filler panels. 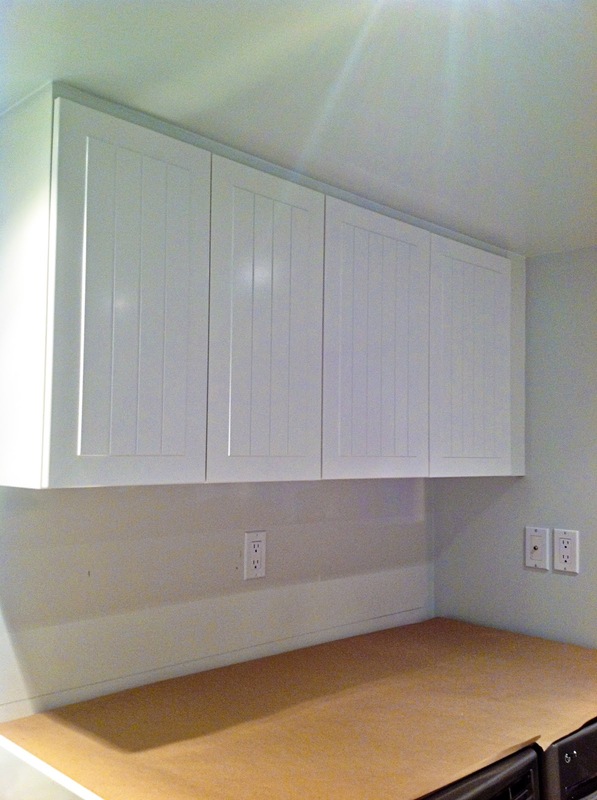 Filler panels are typically used with kitchen cabinetry. 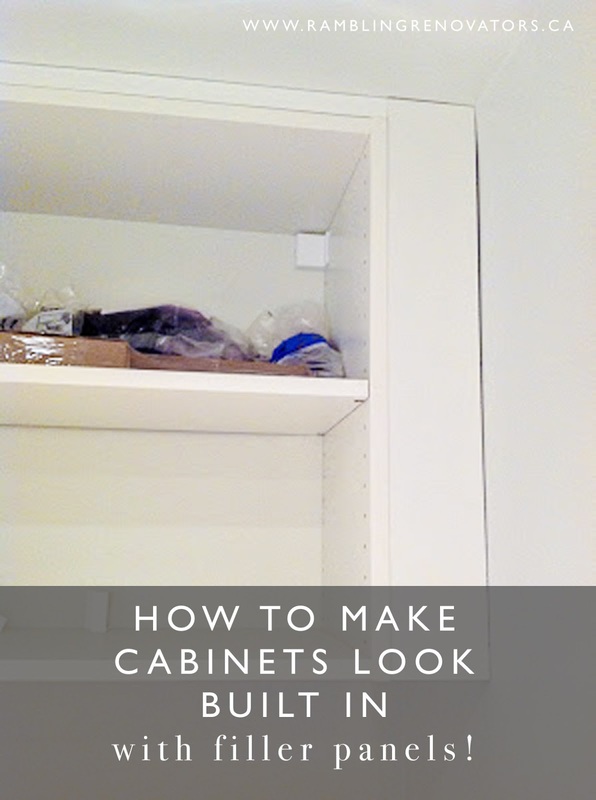 Yet, you can use filler panels anywhere to give IKEA freestanding cabinets a more custom look. We did just that with the IKEA PAX cabinets in our nursery. We added DIY Ikea Pax filler panels beside and along the tops of the cabinets and painted them the wall colour. Its a small detail but one which creates a much more finished look. You can see what the nursery looked like before here. 1. Find your materials to make the filler. 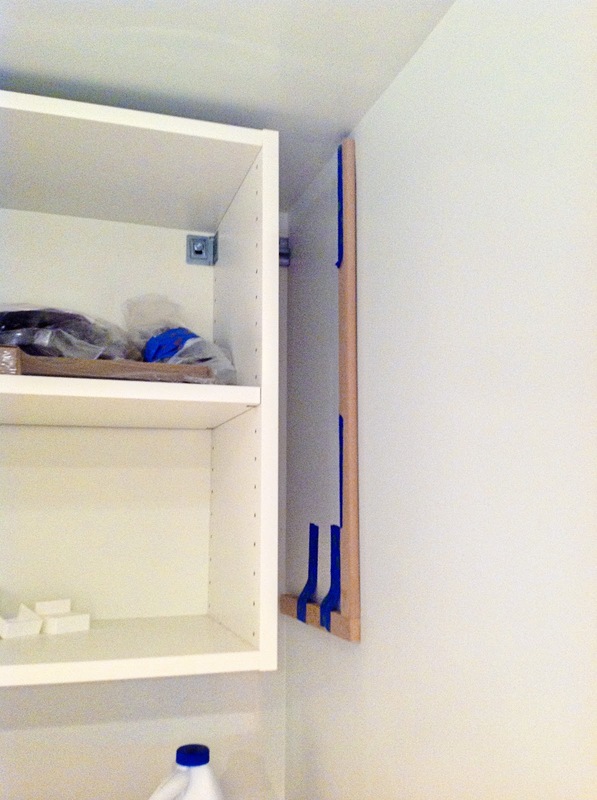 Ikea sells various sizes of filler panels or you can use toe kicks too. We usually just dig into our MDF scraps to make our fillers. 2. Make the cleat. The cleat is the supporting strip of wood that sits behind the filler panel. It provides stability and something for the filler to adhere to. Measure the depth of your filler panel (we used 1/2" MDF) and set the cleat that distance back from the face of the cabinet. We used carpenter's glue to attach the cleat to the wall and held it in place with painter's tape while the glue dried. 3. Attach the filler panel to the cleat. Again, we used carpenter's glue to adhere the filler to the cleat. The filler likely won't be touched much so glue is strong enough for this application. 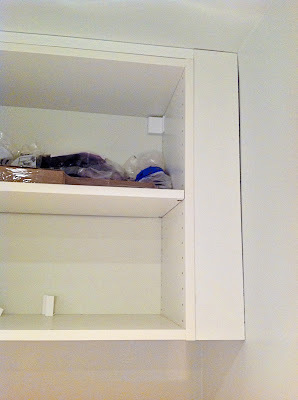 And there you go - the cabinets look much nicer, don't you think? Its amazing how such a small detail can enhance the look and feel of a room. 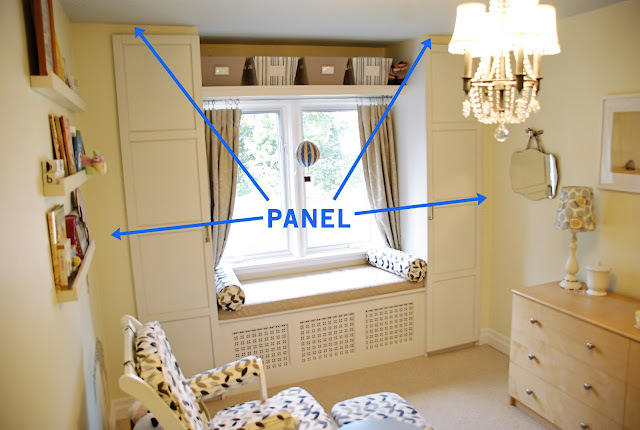 I love the look of built-ins. Great post!